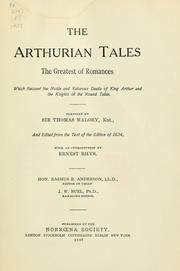 The Arthurian tales: the greatest of romances which recount the noble and valorous deeds of King Arthur and the knights of the Round table. 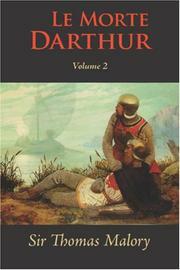 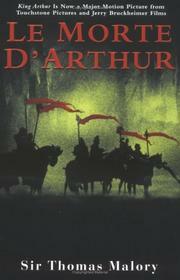 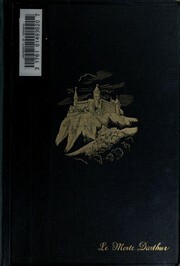 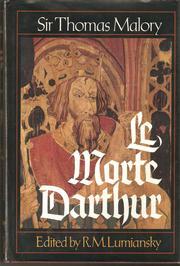 The tale of the death of King Arthur: Edited by Eugène Vinaver. 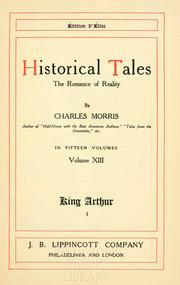 Lancelot and Guinevere: taken from... "Morte d'Arthur"
The acts of King Arthur and his noble Knights: from the Winchester MSS of Thomas Malory and other sources [by] John Steinbeck; edited by Chase Horton.  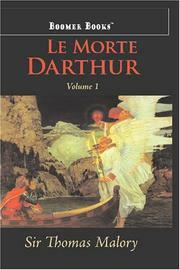 La mort d'Arthure. 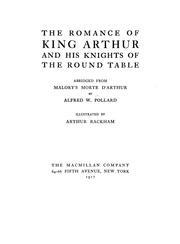 The history of king Arthur and of the knights of the round table, compiled by .. 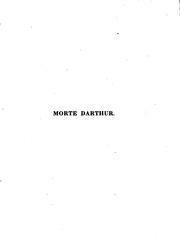 The byrth, lyf, and actes of Kyng Arthur: of his noble knyghtes of the Rounde Table, theyr merveyllous enquestes and aduentures, thachyeuyng of the Sanc Greal; and in the end le Morte Darthur, with the dolourous deth and departying out of thys worlde of them al. 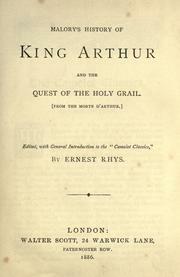 The book of the Holy Grail: from the Morte d'Arthur, together with William Caxton's Prologue. 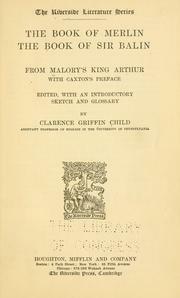 The most ancient and famous history of the renowned prince Arthur King of Britaine: vvherein is declared his life and death, with all his glorious battailes against the Saxons, Saracens and pagans, which (for the honour of his country) he most worthily atchieued. 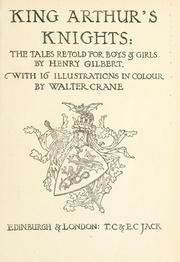 As also, all the noble acts, and heroicke deeds of his valiant knights of the Round Table. 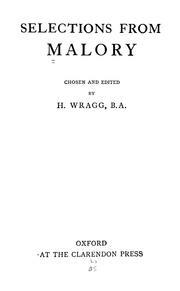 Newly refined, and published for the delight, and profit of the reader. 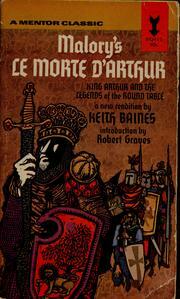 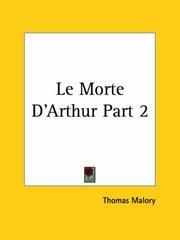 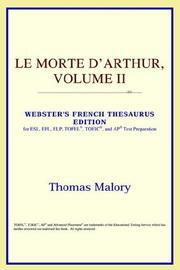 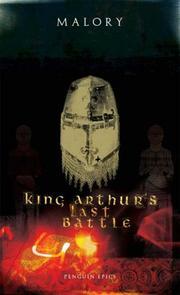 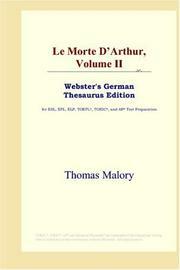 La morte d'Arthure: The history of King Arthur and of the Knights of the Round table. 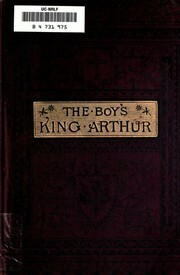 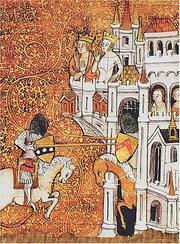 Historical tales, the romance of reality: King Arthur. 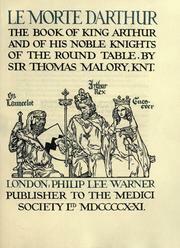 King Arthur of Britain from Sir Thomas Malory's "Morte d'Arthur"
Le morthe darthur: Sir Thomas Malory's book of King Arthur and of his noble Knights ofThe Round Table. 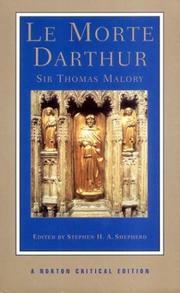 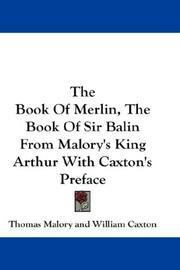 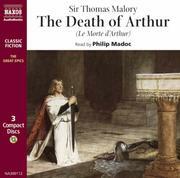 King Arthur: stories from Sir Thomas Malory's Morte d'Arthur retold in modern English by Mary MacLeod. 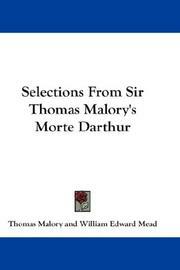 Chronicle and Romance: Froissart, Malory, Holinshed ; with Introductions ..
Malory's history of King Arthur and the Quest of the Holy Grail, from the Morte D'Arthur: Edited with general introd. 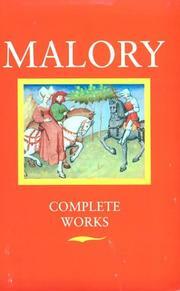 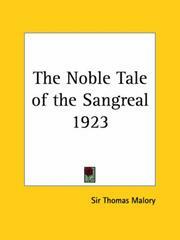 to the "Camelot Series"
Are you sure you want to remove Sir Thomas Malory from your list? 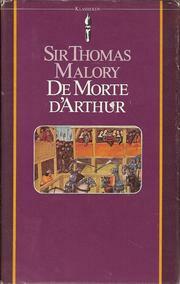 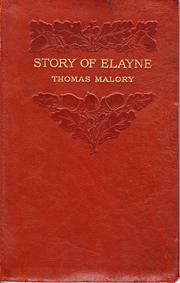 Malory, Sir Thomas, 15e siécle.